The NY Times is featuring a really interesting article by Stephanie Strom about the OpenTable business model and the changes that are occurring in the US online restaurant booking industry. It details how OpenTable started in 1998 with the vision of making online bookings easier for customers to make and for restaurants to manage. It became the industry leader but has struggled as younger companies with different business models have started to take hold. OpenTable states that they create bookings for 23,000,000 diners a month for 43,000 restaurants around the world. This is an interesting figure because some restaurants require an OpenTable booking for almost all of their seats will be booked through OpenTable, and yet these figures indicate that OpenTable is only generating 534 seats per month per restaurant. This is only just under 18 seats per day! Is this the death of the OpenTable business model? The OpenTable business model has been around since 1998 and clipping the ticket on the way through is definitely a very 2000’s business model. 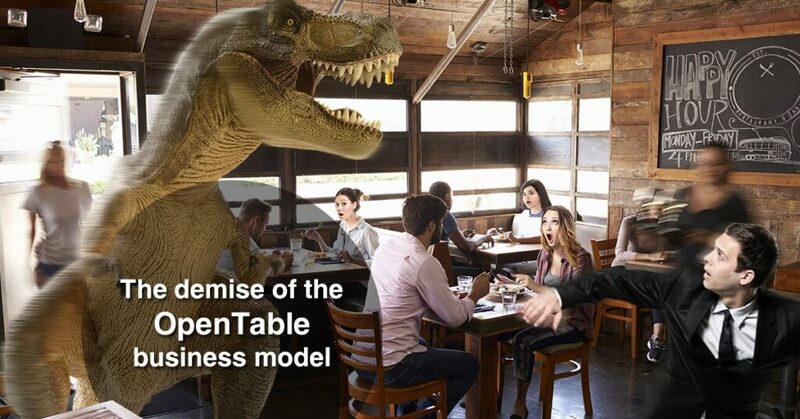 OpenTable has been described as the Dinosaur of the industry, by Nick Kokonas from Tock and some aspects of the business model are now becoming under increasing pressure. Data Sovereignty: Restaurants are becoming a lot more aware that sharing their customer data with organisations that will market to their customers on behalf of other Restaurants is a significant cause of decreasing customer loyalty. Cost: The OpenTable business model for restaurants is very expensive, and given that costs are usually top-of-mind for restaurant owners, cheaper alternatives are always a popular option. 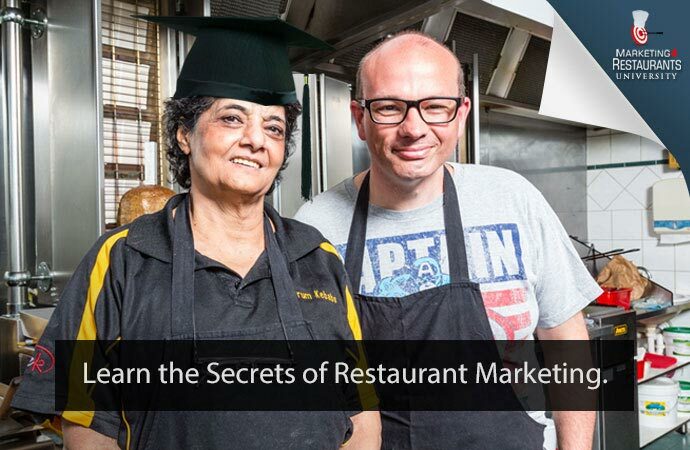 Lack of marketing integration: The ability for restaurants to build customer databases AND to market to those databases is becoming critical, especially in time-poor restaurants – this would be the number one conversation we have with our Free Online Restaurant Booking System (FORBS). How to market to the database that they have collected. Ours and other companies are offering a lot easier ways to target existing customers and dramatically increase repeat business. The telephone: Companies like OpenTable have a huge desire to push the notion that people want the convenience of booking online and many people do, but the reality is that most people don’t. On the average, OpenTable customers are only taking 18 seats a day of bookings. It would clearly be unsustainable to only take online bookings. Any holistic marketing approach should definitely consider phone (and walk-ins) as a part of their marketing strategy. Yelp reports that two-thirds of bookings are still made by phone. Clipping the ticket of restaurant bookings has been a notoriously difficult area to to operate in. Restaurants don’t have much free cash, restaurants operate across a myriad of ways to take bookings and there is the issue with variable quality of restaurants as well (booking services used by poor restaurants reflect badly on the booking service). Last year Table8 closed down after failing to secure more funding and OpenTable itself has suffered some financial setbacks, with it’s parent company, Priceline, writing down it’s investment in OpenTable. Last November, the Priceline Group wrote down the value of OpenTable by $941 million after having paid $2.6 billion for it in 2014. The price that it paid was the highest premium paid for a US internet company since 2007. The write-down was based on the fact the OpenTable may not grow as quickly as expected, especially overseas. It was coupled with a decrease in investment in OpenTable. This has been born out by their experience in Australia. Stevan Premutico related how they hired his head of sales the day before he was to pitch to sell Dimmi to OpenTable. Even with that advantage, they didn’t get the deal done and it was a full 12 months until they started onboarding Restaurants. In that time, market leader Dimmi was bought by Tripadvisor and OpenTable has struggle in a market that it is perceived as being expensive and clunky to use, especially when compared with Resdiary which Dimmi licenses in Australia. OpenTable now faces competition from a myriad of competitors. Tock, in the United States, is target the ultra premium restaurants and having some success in that niche. Resdiary, based in Glasgow, seen as a technically superior platform to OpenTable and is very strong in the UK, Europe and starting to build in the US. In Australia, Obee is seen to be comprehensively better than OpenTable’s offering. A large number of restaurants are going for our Free Online Restaurant Booking System (FORBS) which has taken over $20,000,000 in bookings for Restaurants across 15 cities in Australia, the US, and in Europe. Our Free Online Restaurant Booking System is a completely free online booking system. It replaces the restaurant diary, and makes it easy to take bookings 24/7. Best of all, if feeds into your Restaurant marketing database with quick and easy integration for sending restaurant marketing emails, which we see as being the cheapest way of driving revenue increases and yield utilisation across the week.